This current love of mine, was an accident. 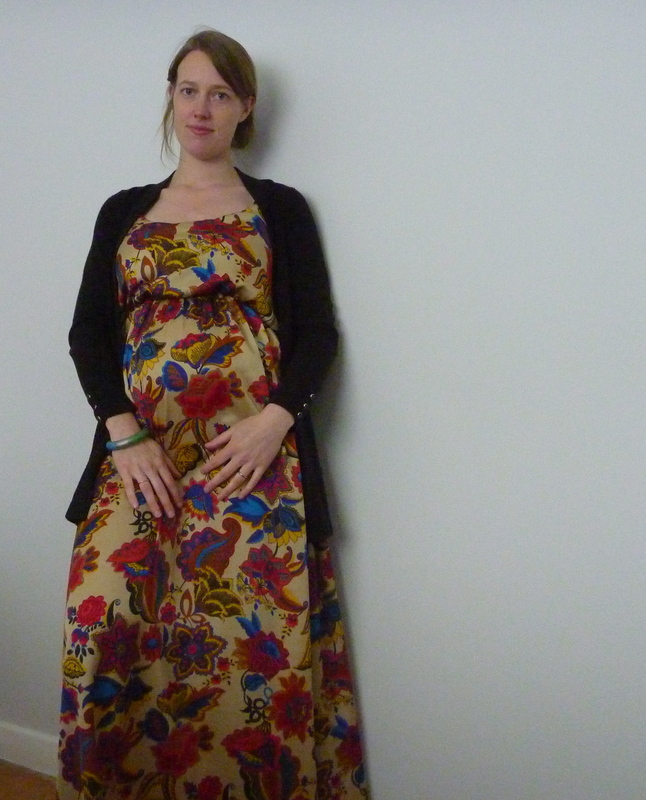 The first maternity saltspring I made, by the time it was almost finished I’d grown too round to fit it. It hung unfinished in my sewing room for over a year. 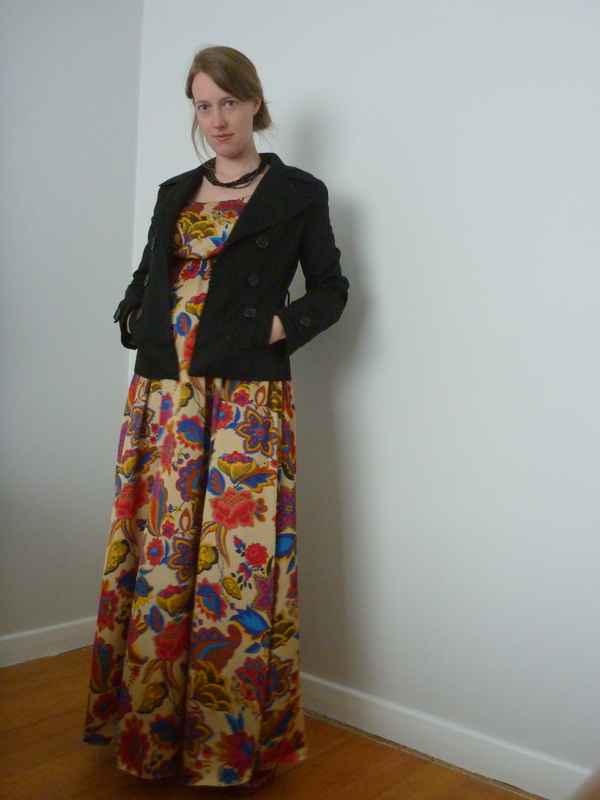 And then I decided to salvage the skirt, and make it into a maxi. 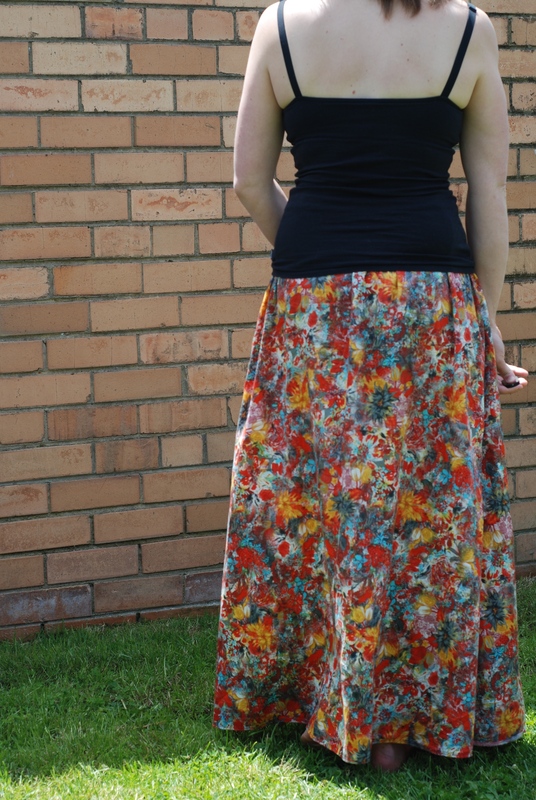 The saltspring skirt is BRILLIANT for an easy maxi. Yes, I probably could have drafted it up, but I knew it would fit. Perfectly. So why wouldn’t I make MORE? 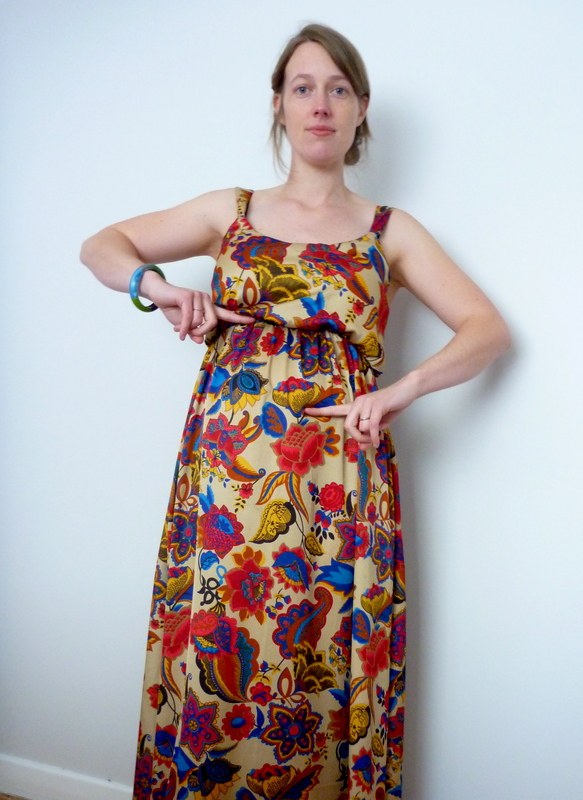 The next two versions are from beautiful fabric from the Cloth Shop in Ivanhoe. I went in there for one thing…and came out with so much beautiful fabric, that didn’t deserve to be chopped up too small. 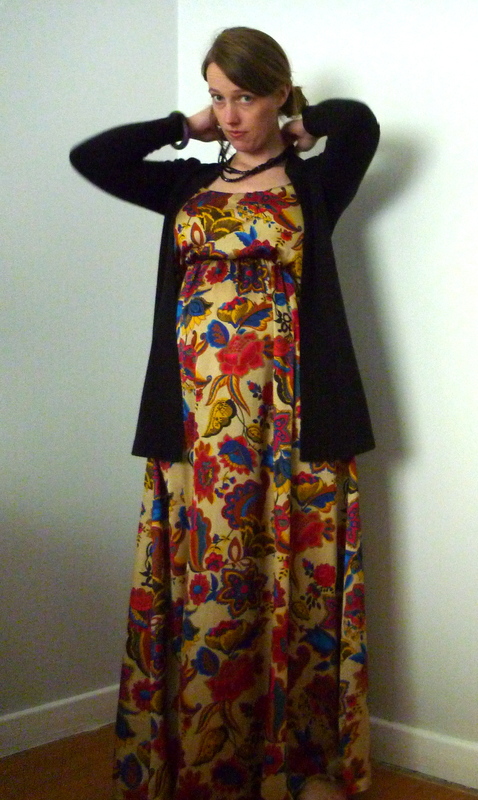 In the last shot, I’ve tucked my singlet in to show the waistband. 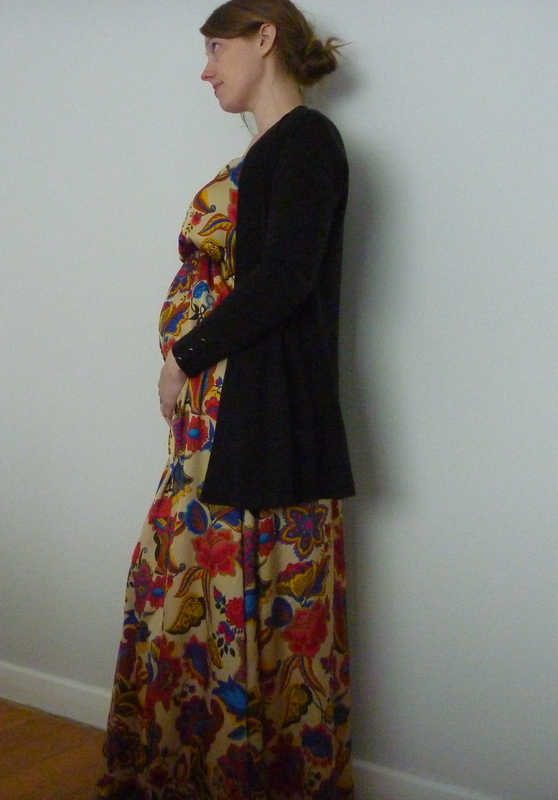 It was a very good photo lesson as to how not to wear my maxi. UGGGGH. It doesn’t help that the last one is lined (as the white of the print can be a little see through) which makes it even bulkier. Surprisingly little. 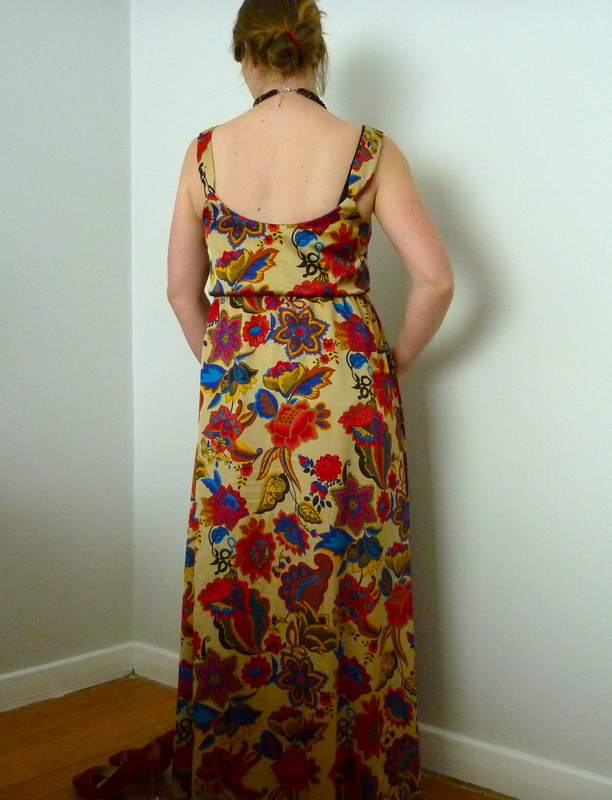 I used the skirt piece for Saltspring dress, using the front piece twice as there was no need for a zip. BAM. 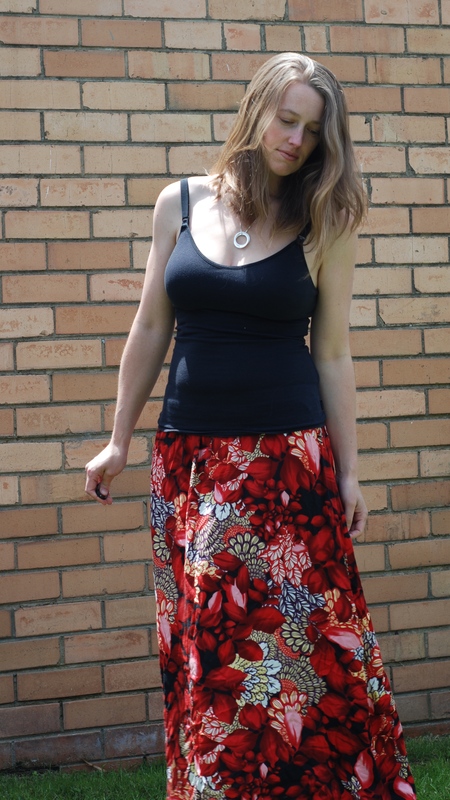 Simple skirt. With perfect swishiness. 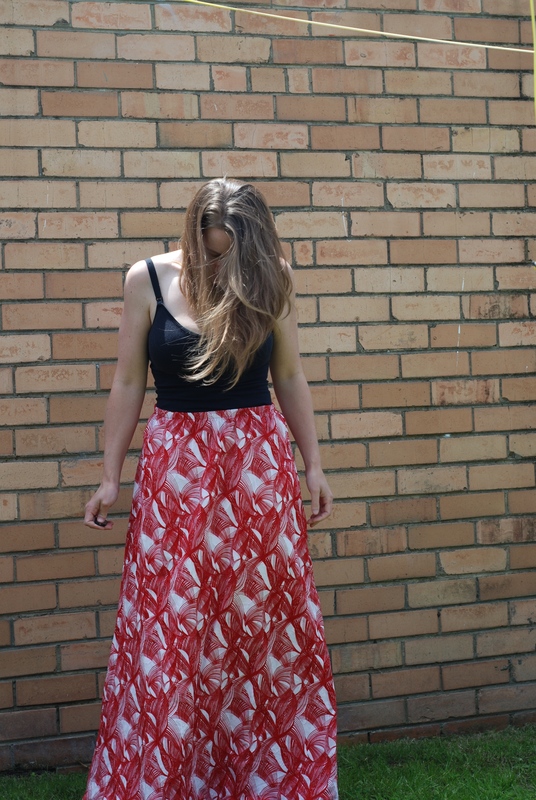 The cloth shop in Ivanhoe, and also fabric.com. I tend to use this tutorial by Fehr Trade for my elastic waistbands, as they turn out nicer and don’t roll. 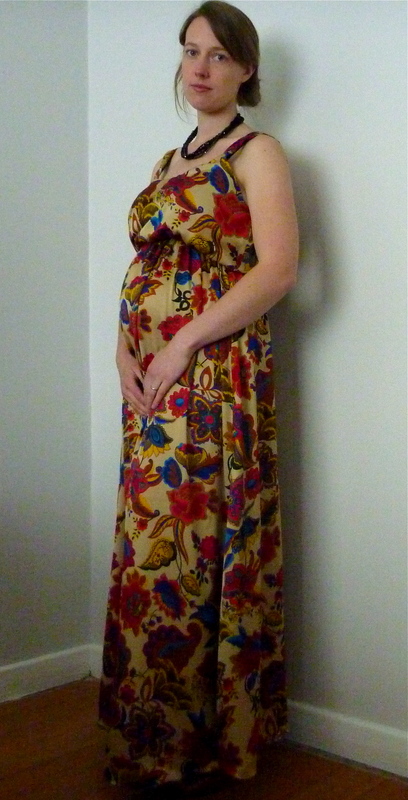 This was a very straightforward “alteration” and really, aside from the waistband it’s two straight seams and a hem. 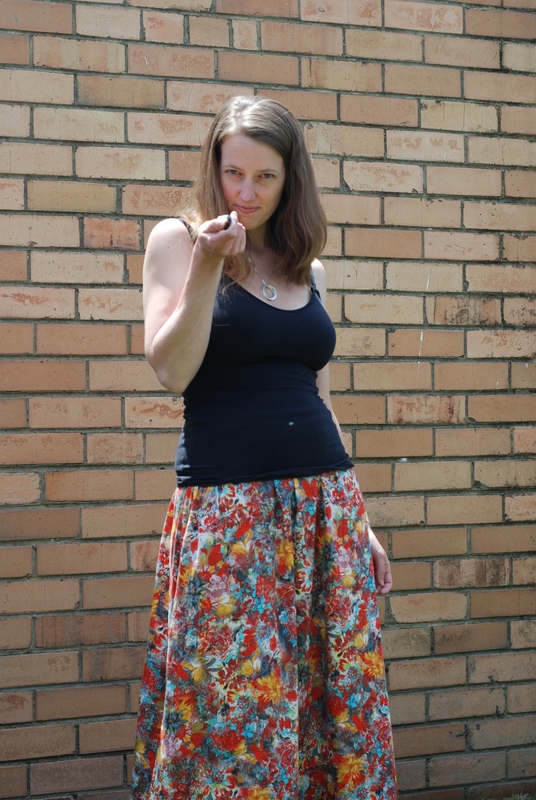 In hindsight I could have possibly just used the Rae skirt sewing pattern by Sewaholic Patterns and lengthened it. Simple to make, satisfying and I’ve worn all of them in fairly constant rotation, with the middle one one being put on as soon as it’s dry off the line. It may have never seen the inside of my wardrobe. That may speak volumes for how much I love it, or how much I hate folding washing. That mystery is up to you dear readers.